The formerly luxurious Hotel Nueva Isla of Old Havana is now in ruins; but it is home for people living on the fringes of society: Jorge, a retired public servant and two neighbors, Waldo and La Flaca. With almost no contact with the outside world, Jorge resembles a Don Quixote gone astray, forgotten by the world he once dearly loved. Day by day his health and body weaken like the walls of Hotel Nueva Isla. 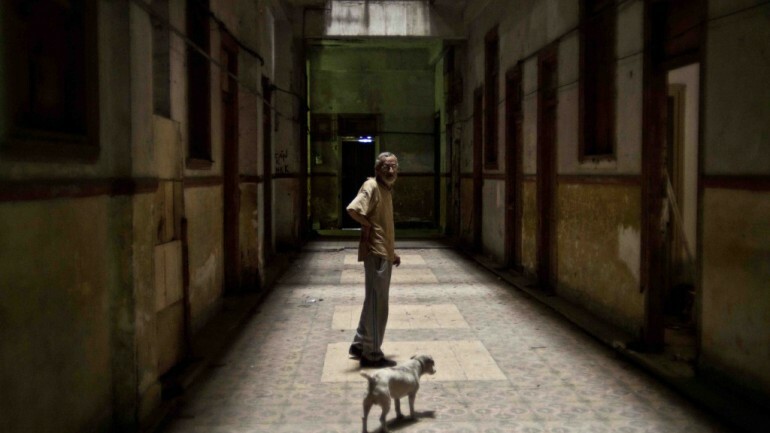 His only motivation to keep living is his certainty that in some place of the ruinous hotel, the former owners hid valuable objects before fleeing during the Cuban Revolution. This is remarkable filmmaking that captures the parallel between the decay of the human body and the stone, steel, and corporeal places in which they live.